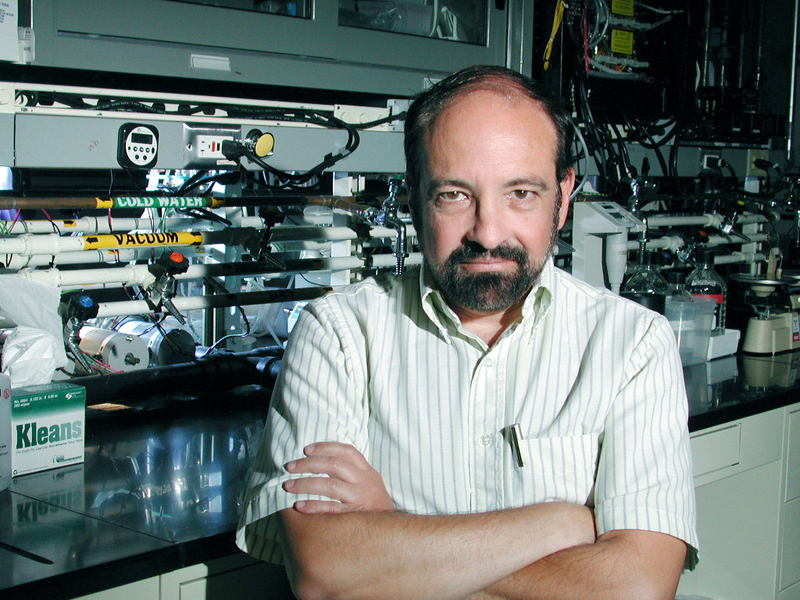 Microbe expert Rocco Mancinelli is the lead researcher in one of the Carl Sagan Center’s newest on-site laboratories. Like many CSC scientists, he is interested in extremophiles, the organisms that, on Earth, live at the limits of life. A common thread of his work is the search for the definitive environmental limits within which life can arise and evolve on planets. Such data will give insight into the potential for life elsewhere in the solar system, for example, Mars. Rocco is a renown expert on halophiles – salt-loving bacteria – which he believes might be similar to microbes elsewhere in the cosmos. He conducts field studies in a variety of different environments, ranging from the Antarctic and Alpine tundra to the hot springs of Yellowstone National Park and Chile’s Atacama desert. Rocco has even exposed microbes to the extreme cold, vacuum and zero gravity found in space, and has shown that some halophiles actually are able to survive such extreme conditions. A further research interest is the evolution of the nitrogen cycle and the role of nitrogen in microbial ecologies. Nitrogen seems a key element for two reasons: Fixed nitrogen is an important limiting nutrient in many terrestrial systems, and it appears that nitrogen would have been one of the most important limiting nutrients on Mars as well. There is much to be learned about the potential for martian life by studying the limits of life on our own world.